Home > Cosmetic > Is 3D Printing Ready for the Dental Industry? Prosthetic arms, keychains and spare keys, shipping pallets, monkey wrenches, web camera covers, shoes, plate ware, cars, even full-size office buildings – truly, the items you can make with a 3D printer seem to be limited only by imagination. That’s because instead of taking a block of material and milling it down to the shape you require, 3D printers work in the opposite direction, adding material to build a specific shape according to a digital template. There’s no denying the tremendous convenience that 3D printing could bring to the dental industry, and 3D printers manufacture some items in the dental office now. A model of a patient’s jaw? Sure. Teeth whitening trays, or a mouthguard? Yes. A new probe or forceps? Maybe. But what about braces, retainers, bridges or implants? The issue is not with the technology itself, but with the resource materials available. There are currently about fifteen different types of materials used to manufacture items with a 3D printer. Many have special qualities for certain circumstances, like resistance to heat or UV light. Some are easier to use, others offer moderate flexibility. However, some are toxic, warp easily, require special conditions and more equipment to set properly, or are incredibly expensive. Besides these issues, there are three main problems that limit how 3D printers can be utilized in the dental industry. Safety — Most of the available printing materials are unhealthy inside the human body or could lead to adverse reactions. Durability — Most materials that are safe enough to use will not hold their shape for the lengthy periods needed. Many others require a dry environment, since moisture breaks them down. To make something like braces or a retainer using a 3D printer, the source building material needs to be (1) safe for the user, (2) resilient enough to hold its shape for six months or more, and (3) affordable enough so that the cost benefits the patient. In short, 3D printing is not yet ready for the dental industry, but it is on its way. Therefore, at this time, although the Yuba City Dentistry Group could manufacture some items through 3D printing onsite, the convenience is not enough to justify its implementation. 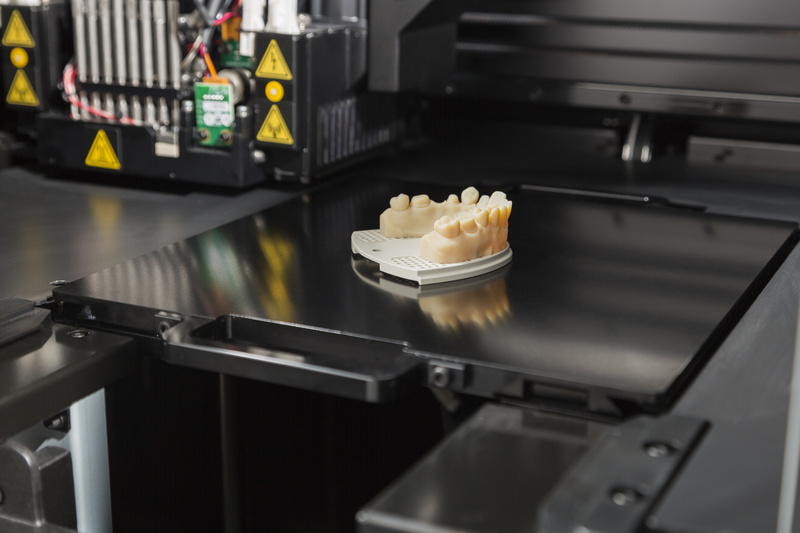 Once a strong, safe, inexpensive building material is introduced to the market, you will see 3D printers working away at providing dental appliances to benefit you. Until then, the Yuba City Dentistry Group will continue to watch the growth of this marvelous technology and let you know when we start to use it.